With the spring equinox this weekend marking the official end of winter, I feel like the slight fug that’s surrounded my sewing motivation (and perhaps brain generally) might be lifting. What’s more fun than finally feeling able to plan for lighter fabrics, camisoles, dresses sans tights, midi skirt and moar jumpsuits? 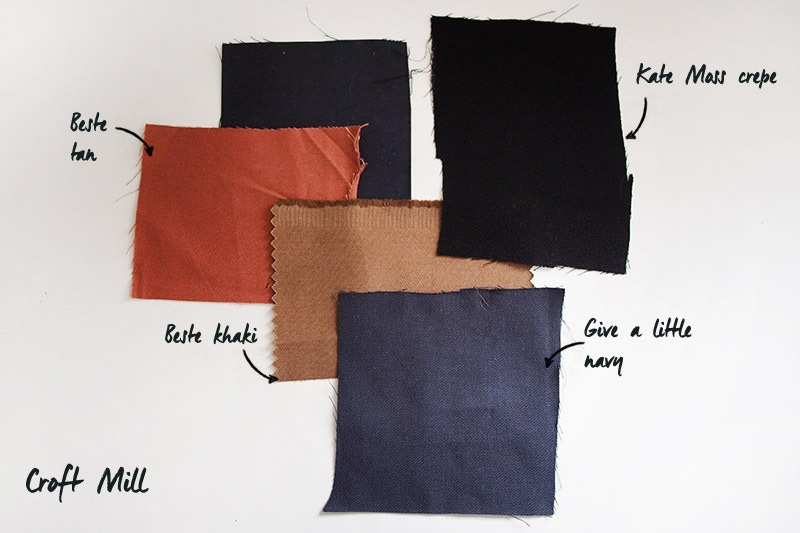 To that end I ordered a bunch of fabric samples to kickstart some ideas forming. First, I revisited this little colour palette graphic that I made myself a while ago so I didn’t go crazy and order a bunch of things that wouldn’t fit cohesively together. This winter I definitely tended towards black as a default more often than not, and I’d like to reintroduce a bit more colour back into my clothes. I want to hunt out some pinks and greens, and I’m tending towards solids over prints these days. Plus I just always throw in some good neutral denims and trouserings as good ones are so far and far between! Assuming others are as interested in fawning over fabrics as me, here’s the swatches I ordered and what I thought of them. 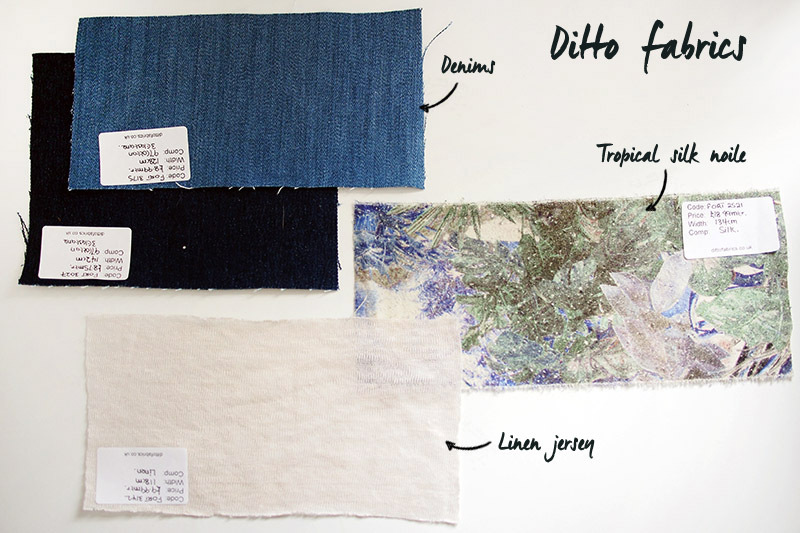 From Ditto fabrics: Indigo stretch denim, Washed Mid Blue Stretch Denim, Ivory linen jersey, Tropical Leaves Silk Noile. Both of these denims are lovely and appear to have great recovery (they’d be perfect for skinny Ginger jeans), but the colour of both is not quite right for what I’m after. 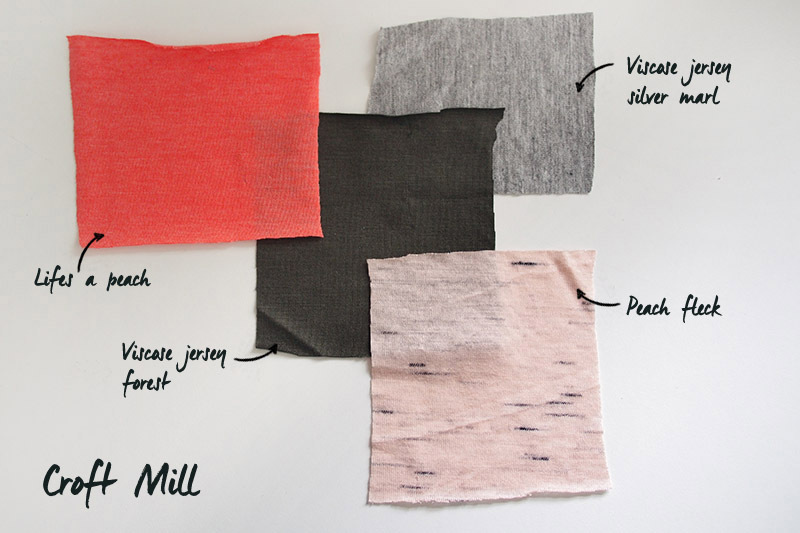 The silk noile is absolutely luscious and I don’t think I can resist it for a simple pullover tee. 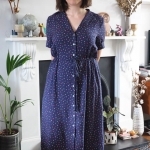 The linen jersey (my sample was actually Stone not ivory, but it seems to be sold out) is a delicate, loose knitted and slubby with a slight sheen – lovely, but not for me. I’d definitely spill stuff down it or snag it within five minutes. I find it really hard to test trouserings from a little swatch. The tan and khaki gabardines are beautiful colours, light-med weight, no stretch, but get pretty creased when I crumpled them. The navy gabardine has elastane in for stretch and seems to drape better. 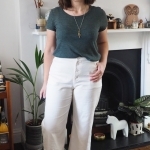 The ex-Topshop ‘Kate Moss’ crepe feels gorgeous and doesn’t crease at all – could be a winner for some culottes or a jumpsuit. Finally, Merchant and Mills sent along these swatch cards because I’m going to review a forthcoming pattern for them. But clearly I’m going to be ordering more for myself too. 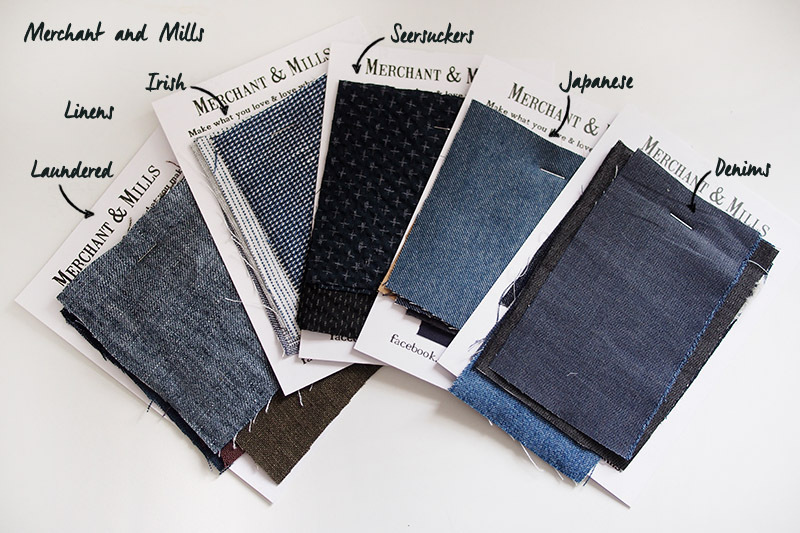 Some tottorri seersucker and tomari twill will be top of the list. Anyone else (in the northern hemisphere) starting to look forward to spring sewing? I admire your methodical approach to wardrobe planning. I’m usually too impatient to wait for swatches for a specific project when I just want to sew. It’s a great idea to have a plan for the season rather than a single garment! I’m just sort of obsessed with making sure I wear everything I make, so forward planning is a must! Yes can’t wait for Spring and some lighter , brighter fabrics – looking forward to seeing some of your creations from your choices , is a great idea to order swatches for new season inspiration – I dare not buy more fabric , but am sure my stash has some thing for a spring make . My stash is actually worryingly small (and mostly black) so I do need some spring injection! Wow those are some great choices!! That silk noile in the top picture looks gorgeous!! I ordered some stretch denim from Ditto about a year ago and I loved it!! I think it was Italian. 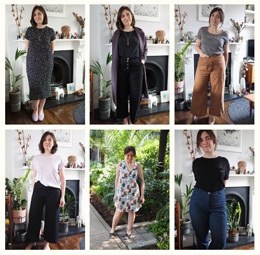 I’m so excited to see what you make, I pretty much want to copy your wardrobe! I think I might get the Ditto denim because I realised I quite like the reverse side as a ‘right’ side! I can recommend the Ditto denim. Its lovely to work with and sews beautifully. I also have the dark indigo colourway and the recovery is excellent. The knees didn’t even bag after a visit to soft play with my children! That’s very good to know, thanks! It is such a good idea, I am terrible for seeing fabric I like and buying it rather than planning what I want to make! 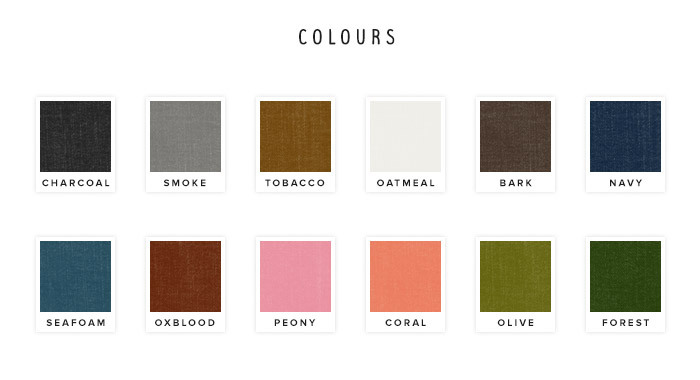 You have inspired me to look at my wardrobe, see what I need and order swatches accordingly. Thankyou for your continued inspiration. I used to impulse buy fabrics a lot – still do sometimes! The problem is having nice and more expensive fabrics I get more nervous to sew with them, ha. I know what you mean there. I have some gorgeous Italian wool fabric in my fabric stash/collection destined to be a Yuzu coat, but I am slightly terrified about cutting into it! I love this swatch round up – what a great idea for a post. I’m always so nosy about people’s choices. You’ve also reminded me that I really need to start ordering a few samples for my S/S sewing. I love swatching – feels like free/cheap window shopping! I just love how organised you are! How do you do it?! Do you keep a diary or something? I’m still working on winter projects… I’m always one step behind the seasons!! This is inspiration to catch up! Thank you! I use Pinterest to track what I want to sew mostly. I think I’m just hyper-aware of sewing things I really need, I hate when things don’t get used! Isn’t Cloth House lovely? Hope you enjoyed the rest of your trip. I like how you have organized all this. I best if I did something similar I would have a much easier time planning out my own projects. Fabrics get me so excited about sewing, but you have to find the right ones. Do you have any fabric shopping tips?